France have been predictably unpredictable at the beginning of this year’s Six Nations tournament. They took a sizeable lead over Wales, playing with something that looked dangerously like a combination of elan and structure, before crumbling to a second half comeback that was largely brought on by their own mistakes. Then, they were blown out with what looked like ease by England, Jonny May helping himself to a very swift hattrick. Cue lots of talk of their performances being ‘so French’ along with various theories explaining their poor play and rumours of a classic players revolt in their camp. I’d like to explore and suggest my own reasons for why the French performances have manifested. There seems to be a general consensus that France has a lot of rugby talent, even if the Top 14 is often criticised for having lots of highly paid foreign players. There are about 270,000 registered rugby players according to World Rugby with 30 full time professional teams in the Top 14 and Pro D2. Jonny May gets England off to the perfect start at Twickenham ?? Of course, there will be some foreign players to make up the numbers, but France has more contracts available for people to play professional rugby. Scotland have two teams, Wales and Ireland have four and five. The SANZAAR nations are similar. Demographically, France has an advantage here. Now I can only speak on what I’ve seen and heard from other, but the level of coaching across France, at all levels, is poor. Not only that, it is a more dictatorial style where a coach decrees something and players have to do it. If they don’t, then they won’t be picked again, despite the glaring ineffectiveness of whatever it is. Witness their setup against England; some of the tries are from smart kicking but good, empowered players recognise problems and adjust on the field. They don’t blindly carry on with something that isn’t functioning. The contrast in environment was laid bare by Eddie Jones the other week when he said: “My job is to try to create an environment that's best for the players to perform [...] These guys can play rugby. Now all of these French players can ‘play rugby’; many of them play for the best teams in Europe. Morgan Parra has excelled for Clermont for years and has won a Six Nations Grand Slam. Of course, he knows how to play rugby. "Before the staff, it is first for us, the players, that the situation is hard to live and it is up to us to find solutions because today we are not invited [to give our opinions]." I’ve coached young and adult players in France. In England, you have to adopt a discovery style of coaching to pass the qualifications, posing questions to the players and creating problems for them to solve. Ask a question of a young French player and you will see the blank faces of players not used to being asked an opinion. Watch a French coach deliver a session and you will hear a lot of shouting and a lot of whistling. There’s more telling then observing going on. No wonder players are somewhat confused when asked to think for themselves. There’re two things going on here; players unaccustomed to taking responsibility for themselves and a lack of any sort of direction from the coaching staff. Having lots of guys like Parra is almost a problem as it’s hard to settle on one player and give him a run of games. France has some positions of great strength with better scrum halves than anyone else; Antoine Dupont is probably not that well known outside France but his second-half performance should change that. They also have Baptiste Serin, Maxime Machenaud, Nicolas Bezy just to name a few. 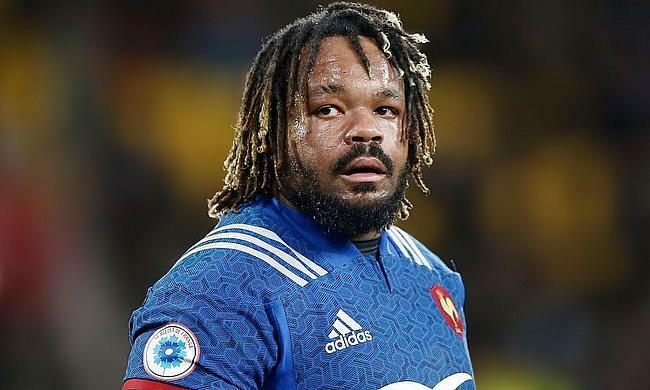 They also have the best selection of centres; Fickou, the unfairly maligned and surprisingly dexterous Bastareaud, Fofana, Lamerat, Penaud, Danty, Vakatawa, Chavancy and many more. The problem is they have too many, shoehorning them into the team in unfamiliar roles or chopping and changing, never fostering any continuity or confidence. Confidence is certainly at a low with defeat becoming a self-fulfilling prophecy and there have been suggestions that the more experienced players are now psychologically damaged by their national team experiences and should be moved along. Confidence in their fly-half is a long-term issue with the position often filled by recruitment in the Top 14. The French options over the past years have been hot and cold, unconvincing or have gotten injured. The best one is probably Camille Lopez and he suffered a horrific injury from which he’s recovered admirably. There are younger options in Anthony Belleau and Matthieu Jalibert who should come into the equation in future. The fitness of the players in France is generally not as good as other professionals. Strength and conditioning is a bit of an afterthought and although prioritising playing ability is admirable, lacking condition will cost you at the top level. The speed of the league is slower than elsewhere with bigger guys taking part; international rugby takes place at a faster pace. An obvious point for comparison was the season that Louis Picamoles spent at Northampton; the French national coaches commented on the improved condition he was in when reporting for camp. It’s evidently a point of difference. The Top 14 is also more attritional with more games and longer travel taking its toll on the players. They are less well rested than a player from the Celtic nations or Southern Hemisphere sides, although England have a similar problem here. There is also a ‘jobs for the boys’ approach with everyone acting out of self-interest, fighting for a seat at the table and trading favours. Vested interests mean that administrative or coaching positions are often filled by someone favourable and club posts are often filled by Dads, Uncles or Brothers rather than the best candidate. In my experience, a good French player almost deserves more respect than his equivalent from another nation as he’s probably had to overcome subpar coaching, conditioning and management at every level from youth rugby to the international game. Ironically, France have been poor for a while during the year but their record at the World Cup tournaments is very good, even if they have never won the trophy. They regularly progress to the knockouts and have contested two finals, one after the infamous player revolt of 2011 where a Biarritz contingent of senior guys led the team to within one point of New Zealand. Teams will still fear France at the 2019 World Cup because they will not know what they’re getting. Sadly, we’re becoming all too certain of what we’re getting from them between the World Cups and I hope it changes.